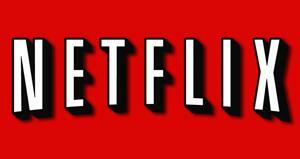 Netflix is not messing around any longer when it comes to its streaming video component. After having just reported on its most successful quarter ever, one thing was clear, and that was that streaming video is definitely its future. The company was able to cut a considerable amount of costs in purchasing new discs and in mailing fees as more of its customers streamed more video than ever before. This, of course, means the company needs to beef up its Watch Instantly feature, and that is just what it has done this morning with a new multi-year deal with the Epix cable channel. Netflix has had a deal with the Starz premium cable channel for some time now that gives it the rights to stream movies from Walt Disney Studios and Sony Pictures soon after they come to the network. For its next deal it skipped over the middle man and went straight to a studio, Relativity Media, LLC., to secure films shortly after they come to DVD, but before they go to cable. Still not satisfied with how much it has beefed up its streaming catalog, we come to find out yet another deal was in the works. Netflix announced today that it has struck a deal with relatively new premium cable channel Epix to get the streaming rights to movies from Paramount Pictures, Lionsgate and Metro-Goldwyn-Mayer (MGM) 90 days after the channel begins showing them. While a three month wait may not seem ideal, it is far better than the usual nine year window cable channels enjoy for showing a movie exclusively. The deal goes into effect on Sept. 1st, and while no price was disclosed, The Los Angeles Times was reporting as late as yesterday that the price tag may have been as high as $1 billion for a five-year arrangement. Even with the delay windows involved, when you look at the number of ways you can get Netflix to your television now, and the fact that an unlimited program can cost you as little as $8.99 a month, the thought of cutting the cable is becoming a much more enticing idea. The days of the current entertainment economy surely seem to be numbered, it just isn’t clear what will rise up to take its place. What say you? Are you excited about this new deal?